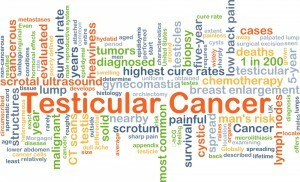 Testicular cancer refers to abnormal growth originating from the testis in men. Most testicular cancers occur in young men who are 20-30 years old. Most often testicular cancer is diagnosed as a result of the patient’s symptoms such as scrotal or testicular pain, a new lump in the scrotum (ball-sac) or a mass or lump in the testis. Enlargement of the testis and scrotum may also be a sign of testicular cancer. When you schedule a consultation with our experienced urologists, specialists in the diagnosis and treatment of testicular cancer, you will be carefully examined; if necessary s scrotal and testicular ultrasound will be performed to visualize the testis and to see if there is a testicular mass which may represent testicular cancer or if there are other explanations for your symptoms. Testicular cancer is relatively uncommon cancer, but it is one of the most common cancers in young men by the virtue of relative rarity of cancers in young men to start with. Shortness of Breath and Sudden Unexplained Weight Loss in a Young Male. Testicular cancer is a great success story in the treatment of cancers. As many as 95% of men with early-detected testicular cancer can be cured with surgery, radiation and/or chemotherapy. While the success rate is good; there are still men who die from testicular cancer. 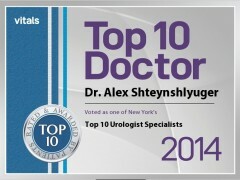 Dr. Alex Shteynshluuger is an experienced urologist, a fellowship-trained specialist in the treatment of testicular cancer. Typically testicular cancer presents with scrotal and testicular enlargement over time. Pain is not very common, at least initially. Once the scrotal mass gets larger pain and discomfort may be associated with the mass. It is important to remember that most men with scrotal enlargement do not have testicular cancer. Most common causes of scrotal enlargement are hydroceles or scrotal varicoceles. Epididymal cysts are also common and can be distinguished on physical exam or scrotal ultrasound. Epididymo-orchitis (infection of testis) can occur as well. It is important to get evaluated whenever there is a new mass or enlargement in the scrotum. Testicular cancer originates in the testes and usually, a scrotal mass can be felt on physical exam. Other scrotal masses such as epididymal cysts are much more common; these can be differentiated from the testicular mass by physical exam. 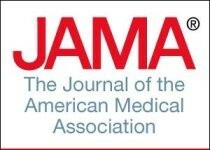 It is important to note that some men may experience a mass in the scrotum after vasectomy which is most commonly a sperm granuloma or scar tissue. Sperm granuloma can easily be distinguished from testicular mass on physical exam as well as on scrotal ultrasound by a urologist. Physical exam of the scrotum by a urologist is the first step in the evaluation of any scrotal or testicular mass. Usually, a scrotal ultrasound would also be recommended as part of the evaluation. If the scrotal mass is localized in the testes and raises suspicion of cancer, blood work will be performed which includes, LH, LDH, and beta-HCG. What are the Treatment Options for Testicular Cancer? Treatment for testicular cancer depends on the type of cancer, presence or absence of cancer cells beyond the testis (metastatic spread). Usually, the first step is the removal of the diseased testicle (radical orchiectomy). A testicular prosthesis may be implanted at the time of orchiectomy or at a later time. Once the tissue is analyzed by a pathologist under a microscope and a final diagnosis is established, treatment is guided by results of a CT scan of the abdomen. CT of the chest is obtained if CT of the abdomen is abnormal. If CT of the chest has the disease, MRI of the brain is obtained. Additional treatment may involve RPLND (retroperitoneal lymph node dissection), chemotherapy, radiotherapy or a combination of these treatments. At New York Urology Specialists, our urologists are specially trained in the evaluation and treatment of testicular cancer. We understand the challenges that testicular cancer creates for our patients, their relationships and their self-esteem. 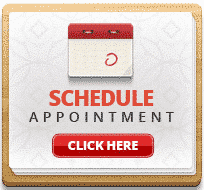 We help you find a treatment that fits your needs, your lifestyle and your preferences.